This month, grab yourself a 30 minute massage for only $30 when you add on to any other treatment. At Trinity salon and spa we are always conscious of our impact on the environment. Choosing Aveda was part of that awareness. Each year, Aveda goes above and beyond in reaching out to small communities that have little or no availability of fresh water. 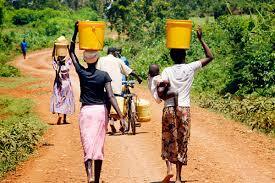 Every day, all over the world, women, elderly and small children make the difficult and dangerous walk to bring home water, often dirty and riddled with harmful bacteria. Imagine walking at least 6km in the unbearable heat and carrying back said water, weighing 10’s of kilos, with bleeding feet and a crippled back. We are so very blessed that this isn’t our situation, and also that we are in a position to help those that are. 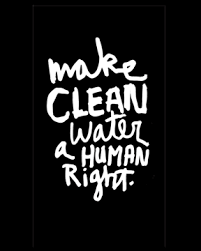 On April 29th, we will be joining Aveda’s “walk for water” in hopes of raising money for communities in Madagascar. 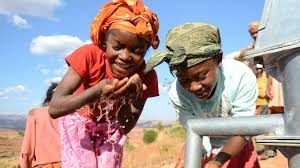 This money does not simply buy water, the money is used to train locals to build and maintain wells so that generations may have something as simple and taken for granted by the western world, as water. Over the years these donations have had a positive impact on hundreds of thousands of lives. Next year Aveda will be changing their charity so this will be that LAST year. Please sponsor us, please be generous, please count your blessings. Manicure? Shellac? Gels? or… Acrylic Nails?